NIST Releases Draft Cybersecurity Framewo​rk August 28 – In advance of the 4th Cybersecurity Framework Workshop, the National Institute of Standards and Technology (NIST) posted several discussion draft documents, including a Preliminary Cybersecurity Framework, Executive Overview, Illustrative Examples, Threat Mitigation, and Illustrative Example, ICS Profile for the Electricity Subsector. 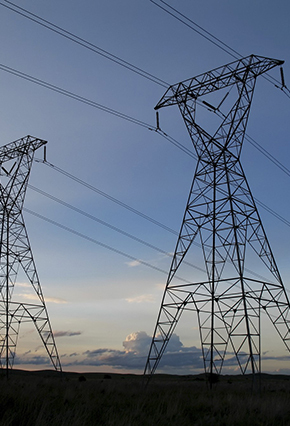 FERC Approves Revisions to NERC’s Rules of Procedure September 3 – FERC issued an order approving proposed revisions to NERC’s Rules of Procedure, including revisions to Appendix 4D and Appendix 2. The proposed revisions will streamline the Technical Feasibility Exceptions (TFE) approval process. FERC directed NERC to submit a compliance filing, within 90 days of its order, to specify the deadline for submitting material change reports, which responsible entities must submit to the appropriate Regional Entity. NERC Updates CIP Transition Guidance September 5 – NERC posted revised Cybersecurity Standards Guidance on transitioning from CIP Version 3 to CIP Version 5. The updated guidance addresses commonly asked questions regarding the transition to the CIP Version 5 standards. NERC Issues Industry Advisory on 345kV Breaker Failures August 27 – NERC issued an Industry Advisory entitled “345kV Breaker Failures”. In the advisory, NERC noted a potential trend of SF6 gas puffer type 345 kV breakers failing and that “high voltage circuit breaker failures are one of the leading contributors to severe disturbances on the [BES].” Included with NERC’s advisory are a 2010 Hitachi HVB AE Power Systems, Inc. Maintenance Advisory and a letter to trade associations. FERC Denies Trade Association’s Request for Rehearing of Paperwork Burden of Revised BES Definition August 30 – FERC denied a request by the National Rural Electric Cooperative Association (NRECA) and the American Public Power Association (APPA) for clarification, or in the alternative rehearing, related to the FERC’s approval of revisions to the bulk electric system (BES) definition. The request concerned FERC’s revisions to its estimated burden of information collection under the Paperwork Reduction Act and its Regulatory Flexibility Act certification. Comments on NOPR Proposing To Approve the Retirement of 34 Reliability Standard Requirements August 27 – Industry trade groups APPA, EEI, ELCON, LPPC and TAPS submitted joint comments supporting a FERC Notice of Proposed Rulemaking (NOPR) proposing to approve NERC’s retirement of 34 requirements of 19 different reliability standards. Other supporting comments were filed by the Canadian Electricity Association, the ISO/RTO Council, and NRECA. The commenters generally urge NERC to identify criteria to use in determining whether additional requirements should be retired and to continue its review of requirements to determine if additional retirements are warranted. FERC Approves NERC Compliance Filing on Vegetation Management September 4 – FERC approved the compliance filing NERC made in response to Order No. 777, in which FERC approved Reliability Standard FAC-003-2 (Transmission Vegetation Management). The compliance filing (1) described NERC’s plan to conduct testing relating to flashover distances between conductors and vegetation; (2) modified the Violation Risk Factor for Reliability Standard FAC-003-2, R2; and (3) confirmed that NERC posted guidance materials for FAC-003-2 on its website. NERC Board of Trustees To Consider Operating Personnel Communication Protocol Standards September 6 – At the NERC BOT’s August meeting, the BOT sought guidance from NERC departments on interpretations of various operating personnel communication protocol standards. NERC posed five questions to the Reliability Issues Steering Committee (RISC), the Independent Experts Review Panel (Independent Experts), and NERC management. The RISC submitted comments, as did the Independent Experts and NERC management, which NERC will consider at its November board meeting. Extension of Time to Comment on NERC’s 2014 Business Plan and Budget September 6 – FERC granted the requested extension of time until September 20 to file comments on NERC’s proposed 2014 Business Plan and Budget that was sought by Edison Electric Institute (EEI). EEI sought the extension of time, citing the need for additional time to challenge the section 215 criteria, comment on the application of the section 215 criteria to the NERC budget, and provide any other comments on the NERC budget. NERC Postings – NERC posted the following documents on its website: (1) ERO Compliance Monitoring and Enforcement Program 2014 Implementation Plan; (2) Initial Release of its 2014 Actively Monitored List; (3) 2013 Compliance and Certification Committee Stakeholder Survey; and (4) the scoring spreadsheet for each requirement of the reliability standards, which was prepared by five industry experts retained by NERC to independently review the NERC Reliability Standards. In reviewing the standards, the industry experts assessed the content and quality of each requirement and produced, in conjunction with the scoring spreadsheet, a final report. NERC Filings at FERC Recent NERC filings at FERC include: (1) a Request to Change its Address in the NERC Rules of Procedure due to closure of its Princeton, NJ location; (2) a Second Quarter 2013 Nuclear Compliance Filing in Response to Paragraph 629 of Order No. 693; (3) Comments on the P81 Notice of Proposed Rulemaking; and (4) an Informational Filing Regarding the Definition of Protection System under RD11-13. NERC Penalties August 31 – NERC filed with FERC (1) five new Notices of Penalty (NOP) and (2) a spreadsheet NOP. NPCC Posts Draft Audit Schedule September 6 – NPCC posted a Draft 2014 Audit Schedule. WECC Requests Comments on its Information Sharing Policy September 3 – WECC requested comments on its Information Sharing Policy. Comments are due by Friday, September 13th at 5:00 pm (MDT). WECC Releases Phase II of the Reliability Coordinator SOL Methodology August 30 – WECC released the Revised WECC Reliability Coordinator System Operating Limits Methodology for the Operations Horizon, version 7.0. It will be effective March 3, 2014. WECC Releases New Version of WSM Model August 14 – WECC released version 51 of its West-wide System Model (WSM), used by WECC RC System Operators and study engineers to assess the reliability impacts of operational actions in the Western Interconnection.